able to adjust to the situation and show your capabilities of fulfilling responsibilities assigned to you. 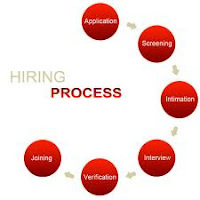 Hence having tips on interview process will help one to crack an interview. First and the foremost thing to remember is that you do not have to fake too much about yourself. You are the interview candidate and they are the interviewers and they have seen numerous candidates so can easily differentiate when you try to fake too much. When it comes to HR interviews, there is no particular answer to a question. Nobody wishes to see how textbook perfect you are but the way you will handle the questions fired at you which will indicate how you can manage stuff at office. You can get away faking one or two questions but not all. When a question is asked and you don’t know the answer then better say you don’t know the answer rather than taking time and try to give some wrong answer. Being frank in those times helps. You might give one or two wrong answer but that need not spoil your interview as you will have ample opportunity to cope it up. But doesn’t mean that you will say ‘I don’t know’ to all question asked and expect to clear an interview. That will not happen. The interviewer will want to see how well a candidate can mix up in the teams and work well in sink. So always portray yourself as a team player and not a self-boasting individual. When asked to introduce yourself speak more about you and not your family. If required then just mention about them but you do not need to give a brief about them. They want to know you not your family. There will be some tricky questions asked such as whether you want to pursue any further studies. They might praise your skills so much that you can get carried away and say that you have a thought of pursuing higher studies after working for some time. Sure shot your interview is gone. This is how they trick you to spill out the beans from your bag. Even if you have any such intensions of leaving the job after sometime and peruse higher education, you need not say if. Remember that is an interview for a job not an admission in a college. But you still need to show them that you are still interested to learn new things but by pursuing job. So while searching for tips on interview process do not forget to search for interview trick questions. Do not forget researching about the company before you get to it. If you cannot answer well about the company it will only indicate that your homework is not properly done and you are not too keen to get that job.